Cherry Blossom is a lovely 6 berth holiday caravan situated in a quiet location in its own garden near Ceibwr Bay on the Cardigan Bay coast. 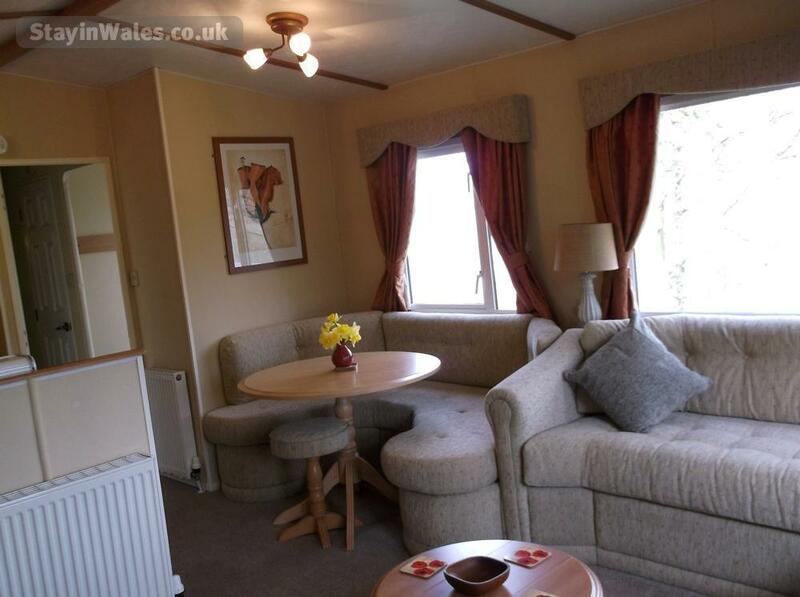 It is the only holiday caravan on a working dairy farm 500 yards from the beach and coastal path. 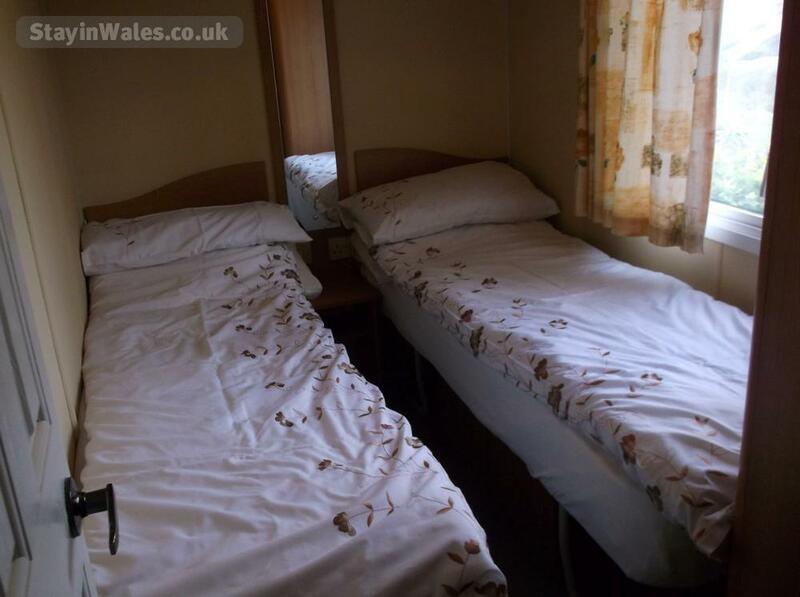 Cherry Blossom, which sleeps 6, has three bedrooms, one with a double bed and two with twin beds. It is double glazed, has heating in every room as well as a gas fire in the lounge. 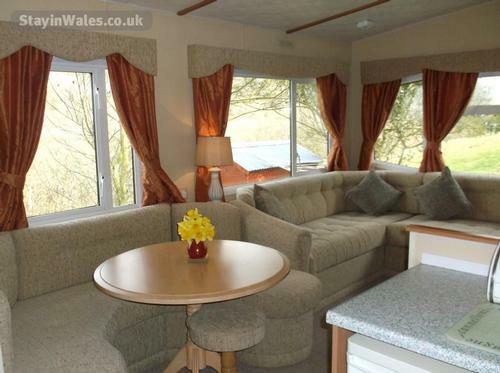 The lounge/dining area is spacious and has comfortable seating, TV with Freeview. 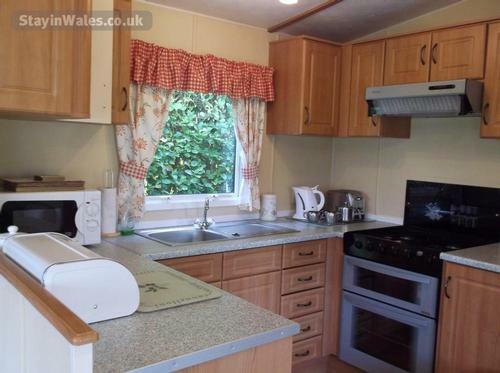 Kitchen area includes freezer, gas oven and grill, four ring gas hob, fridge, microwave, electric kettle and toaster. 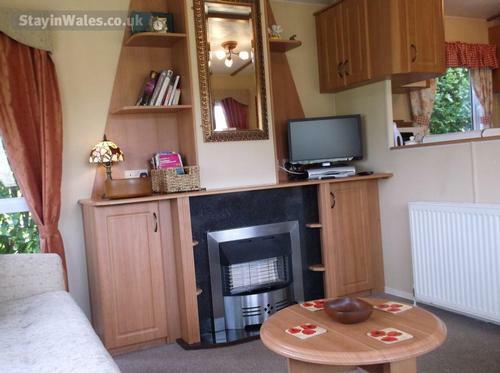 Coin operated washing machine, tumble dryer, iron and ironing board are housed in a garden shed alongside the caravan. Bathroom has shower and washbasin and separate toilet and washbasin. 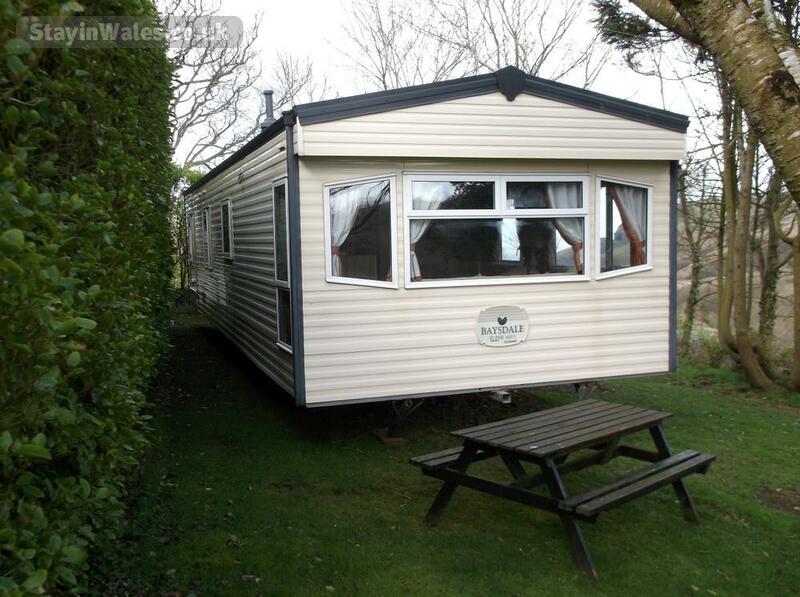 Cherry Blossom has adequate off-road parking for one vehicle at the rear of the caravan. Lawn area at the front of the caravan has a picnic table and a rotary clothes line. 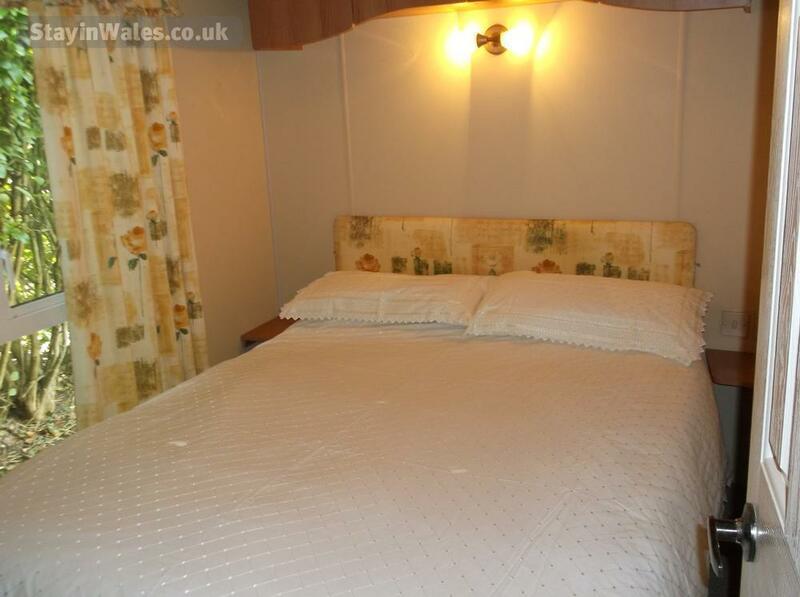 Bed linen is provided and beds will be prepared for your arrival. Towels are available on request at £3 per set (1 bath and 1 hand). We do not allow pets. There is to be no smoking in the caravan. Gas and electricity are included. Door is accessed by concrete steps, with hand rail. Vodafone 3G reception is available at the caravan. 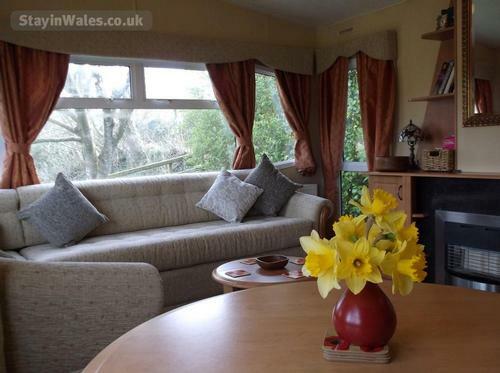 Ideal for visitors who enjoy coastal or woodland walks. 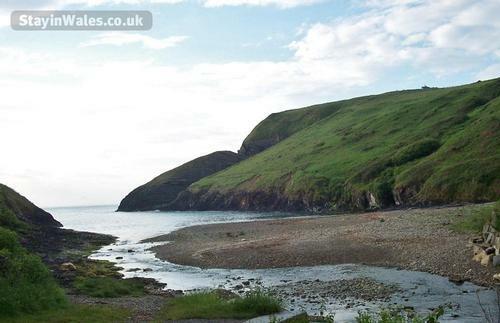 Ceibwr Bay is a pretty inlet on one of the finest parts of the North Pembrokeshire coast. 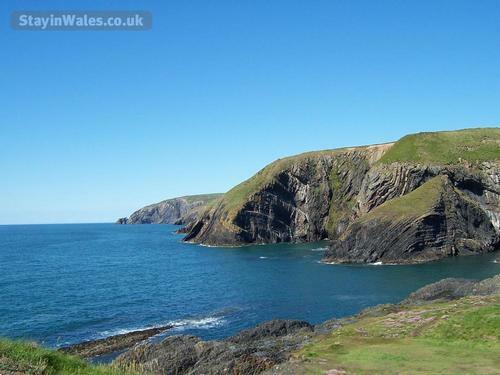 The hills slope gently down to the inlet, but beyond the mouth of the bay the cliffs become spectacular and rise to over 600ft. Ceibwr has a small beach which is pebbly, but bathing is possible. Seals often swim in the bay. There are sandy beaches at Poppit and Newport only a short drive away. There are many other tourist attractions within an hour's drive away.